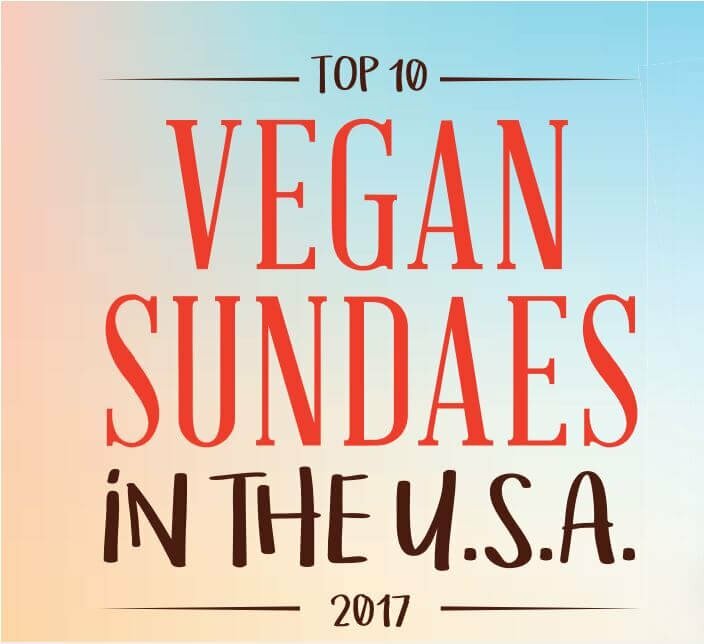 In time for National Ice Cream Day on July 16—and in the middle of National Ice Cream Month—PETA has announced the Top 10 Vegan Ice Cream Sundaes from eateries across the country. Scooping up the top spot is vegan gourmet eatery Sublime Restaurant & Bar in Fort Lauderdale, Florida, whose soy ice cream sundae comes with two towering scoops of house-made vanilla ice cream; a generous pour of creamy-rich dark chocolate sauce; and sprinkled crushed, roasted nuts. The 2017 list also includes cooling and delicious sundaes from Austin's Sweet Ritual; Crossroads and KindKreme in Los Angeles; Banán in Honolulu; Boston's Veggie Galaxy; Christopher's Kitchen in Palm Beach Gardens, Florida; Virtuous Pie in Portland, Oregon; Denver's SNOWLAB; and The Cookie Counter in Seattle. "From bringing back childhood memories with traditionally rich vanilla and chocolate flavors to adding creative twists like avocado and papaya, vegan ice cream sundaes offer something for everyone," says PETA President Ingrid Newkirk. "All the cool-down concoctions on PETA's list prove that you can indulge your sweet tooth while also being sweet to mother cows." Not only is vegan ice cream free of saturated animal fat and cholesterol, it's also kinder to mother cows on dairy farms, who are artificially impregnated and then separated from their newborn calves immediately after birth so that their milk can be consumed by humans instead. Each eatery will receive a framed certificate. PETA—whose motto reads, in part, that "animals are not ours to eat or abuse in any other way"—also offers tips on its website for finding delicious dairy-free ice cream at grocery stores across the country.